. . . fun. Making music brings people together, breaks down barriers and leads to good times. Playing really well can make you feel like you're on top of the world. And even if you're not brimming with talent, doing your best and even messing up occasionally is a lot more engaging than staring at the TV.
. . . good for the brain. A series of new scientific studies has demonstrated a link between active music making and increased brainpower. 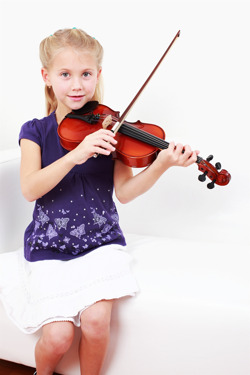 Children who make music show improved spatial-temporal reasoning, which is the foundation of later success in math and science. And they actually get better grades than kids who don't take music.
. . . good for the body. Making music is proven to reduce stress. And stress on the body has been linked to the performance of our immune systems. Studies show that people who make music have had higher levels of melatonin, a revitalized natural production of Human Growth Hormone — even an increase in the immune system's natural "cancer-killer" cells.
. . . good for the soul. Music is beautiful and beauty helps your peace of mind. The benefits of music on well-being have been scientifically measured. For example, older people who make music show reduced levels of anxiety, depression and loneliness. Among younger people, those who make music together are less likely to use drugs or get in other kinds of trouble.
. . . good for the social life. Joining a musical group means making lots of friends, all working together to make great music. In most cases these will be friends for life. 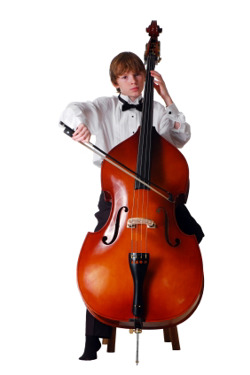 Do you have questions about being in the orchestra? Here are some answers to questions parents often ask. 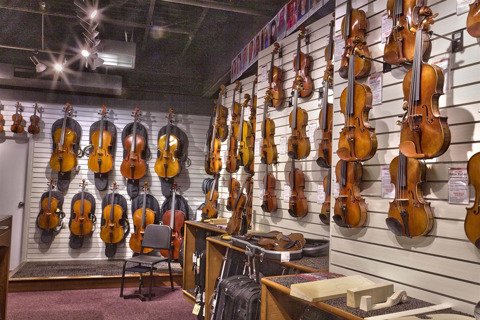 More people rent and buy band & orchestra instruments from Amro Music than all the other Mid-south stores combined.